Each box comes with a card detailing the items included. This month’s theme is Across the Galaxy. I absolutely LOVED this book! I was drawn into the story and the characters immediately. It reminded me of another series I love, too: The Lunar Chronicles! Plus, Anastasia is one of my all time favorite animated movies, so any nod to that story is a win for me. I was surprised to see this book didn’t get only 5-star reviews, but it seems like some readers had issues with the lack of world-building and the 4 different POVs. Personally, I prefer when books just jump into the action instead of dedicating a chapter or two to an infodump, so the lack of worldbuilding was fine with me. And the 4 characters were different enough that it was easy for me to follow immediately. And Heart of Iron also included a promotional mini poster. Wick & Fable Candle – Estimated Value $4? This exclusive candle is inspired by The Illuminae Files. The scent is Sweet Honeydew, and it reminds me of Watermelon Bubbilicious bubble gum! Ceramic Mug designed by Sasha Natasha – Estimated Value $15? This mug is inspired by The Lunar Chronicles. And it’s microwave and dishwasher safe! Galaxy Print Infinity Scarf – Estimated Value $15? Lexy Olivia Designed Bookmark – Estimated value $3? This gorgeous bookmark is perfect for the book! 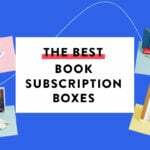 What do you think of the March OwlCrate box? Did you love the box? I would love to see a review of the Wick and Fable box. Bookish candles are my weakness! YES…Please review Wick & Fable! I’ve been contemplating subbing and it would be great to check out some of your reviews before I do!! Wick and fable looks awesome! Great way to read new books based off their theme while having the candles lit. I loved this month’s box. The scarf is not my style but I love everything else. Please review Wick & Fable! Oohhh that wick and fable subscription looks really neat! all of the candles! And I love that scarf! I’d love to see a review of the Wick and Fable box. I love the idea of it, and reviews always help me to decide! I’m adding this box to my “to-read” pile too. It looks good! Oh my goodness I LOVE that scarf. If we order now would we get this month’s box or April’s? March sold out… you would get April’s box. I was too late to get March.. it looked like a good one !